There are two Brown Bags next week, both dealing with public history. 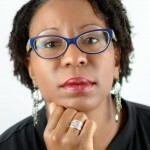 The Center will partner with the Mississippi Humanities Council to host a free and open to the public conversation on issues related to equitable access to affordable housing on March 2. 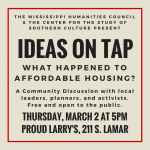 The Ideas on Tap event, “Ideas on Tap: What Happened to Affordable Housing?” will be held at Proud Larry’s from 5pm to 6:30pm. 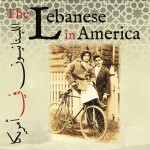 The Center for the Study of Southern Culture and the Moise A. Khayrallah Center for Lebanese Diaspora Studies at North Carolina State University are pleased to announce a collaborative effort to engage, learn from, and explore the history and memories of Mississippi’s Lebanese American community. 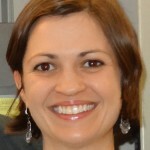 Work on a Center project that began in 2003 is at long last winding up. 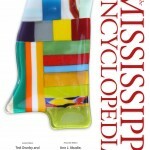 The Mississippi Encyclopedia—a mammoth collaboration that includes over 1,600 entries, 1,451 pages, and features more than 700 scholars who wrote entries on every county, every governor, and numerous musicians, writers, artists, and activists—will be in print and for sale this May. This is the first encyclopedic treatment of the state since 1907. A new Master of Fine Arts degree in Documentary Expression begins this fall, and prospective students are encouraged to apply before the April 13 deadline. 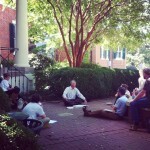 The new MFA, housed at the University of Mississippi’s Center for the Study of Southern Culture, will be a two-year (30-hour) graduate program that combines three forms of training. 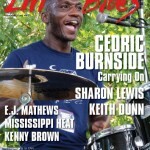 The February/March 2017 issue of Living Blues features Hill Country bluesman Cedric Burnside on the cover. The grandson of the late R. L. Burnside, Cedric’s star is on the rise, and he is dedicated to keeping the sound of the Hill Country alive. Guitarist Kenny Brown was also raised in the tradition, and he shares his memories of playing with the Burnsides, Junior Kimbrough, Joe Callicott and others. 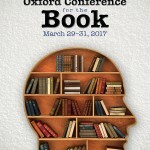 A conversation about the South and hip-hop music is set for Friday, Feb. 10 at 2 p.m. in Barnard Observatory’s Tupelo Room. 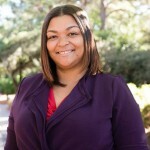 The Center for the Study of Southern Culture hosts a conversation between Regina Bradley and Kiese Laymon, “When the South STILL Got Something to Say: A Conversation about Hip Hop in the South.” The event, which will be introduced by Brian Foster, is free and open to the public, with a reception afterward in the lobby.